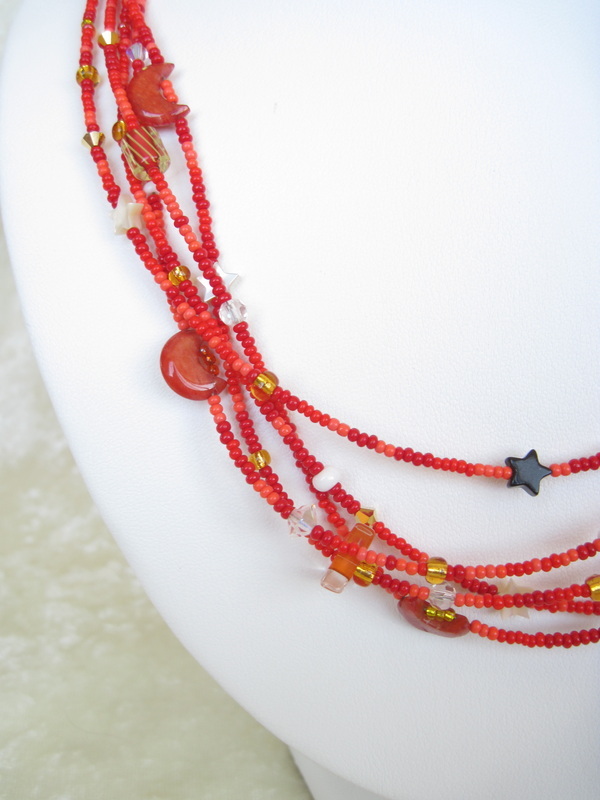 The sun announces his arrival with a blaze of red and orange skies. A few stars brave the oncoming day, the glowing moon sinks out of sight. 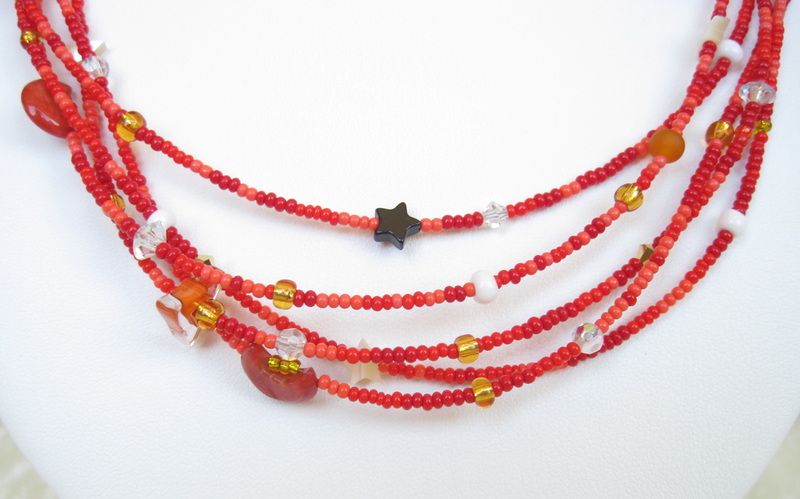 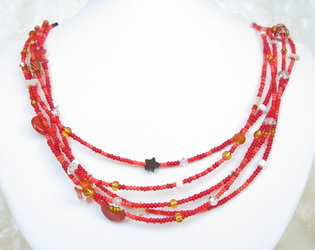 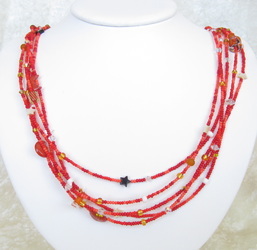 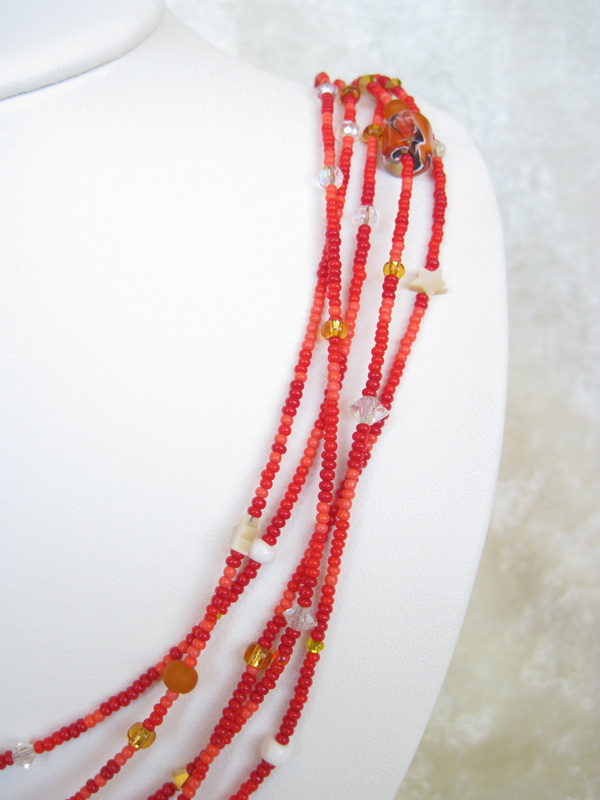 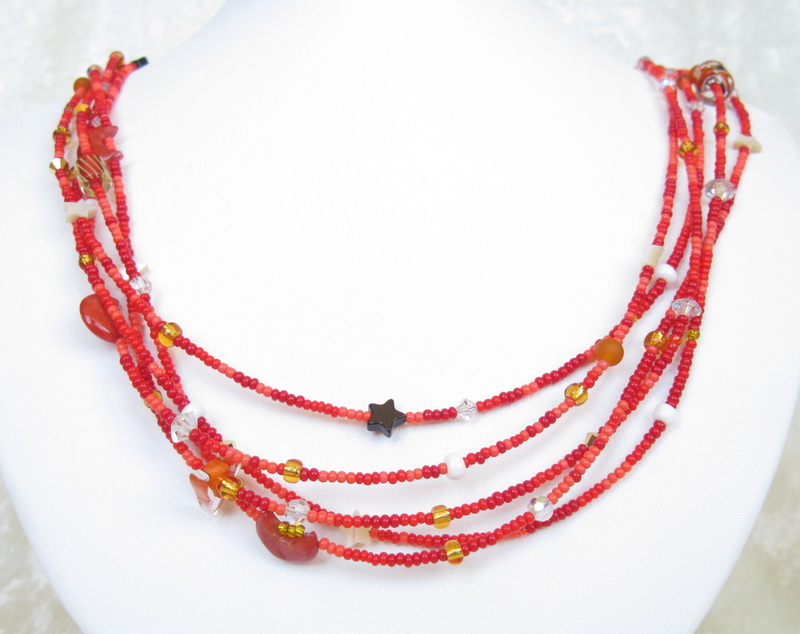 Beads of hematite, carnelian, mother of pearl and glittering Austrian crystal embellish five vivid strands of seed beads, delicately intertwined. Blazing Sunrise measures 25" and fastens with a toggle clasp. Sure to brighten up your day!